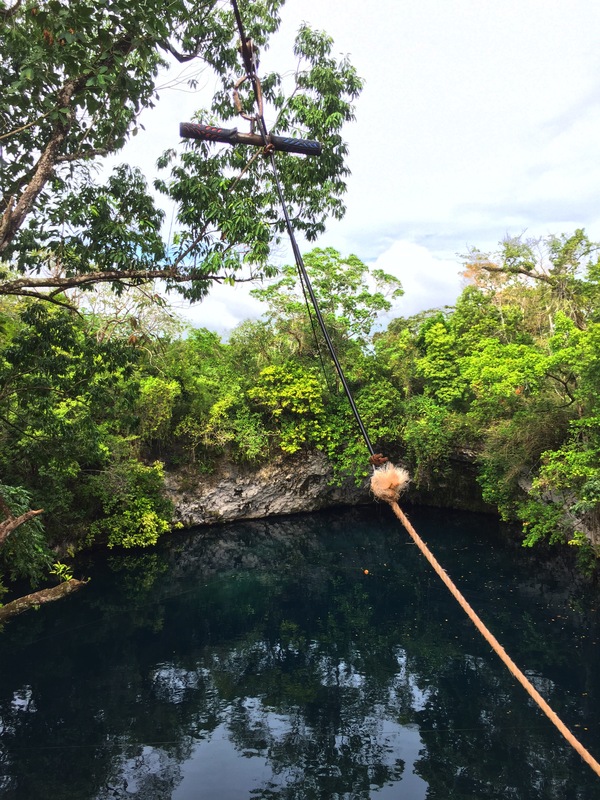 The dreadful zipline from which you’ll jump inside the lagoon. 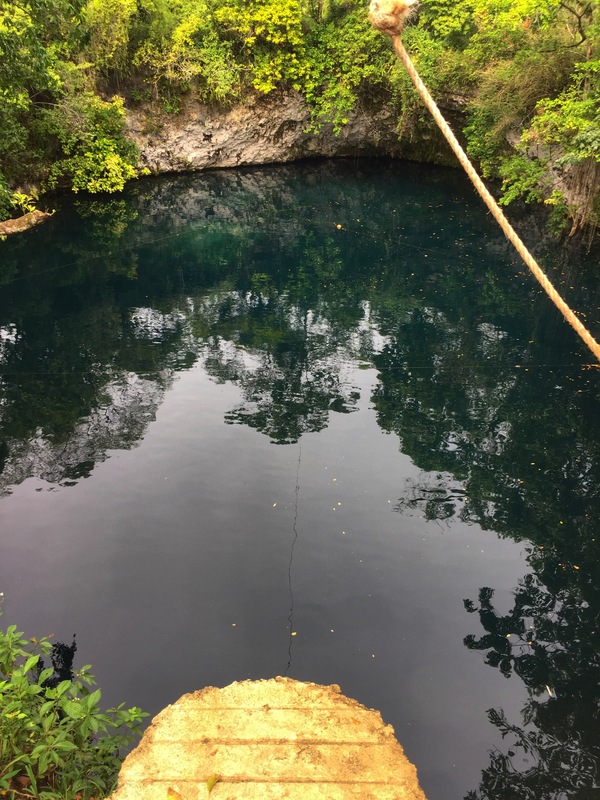 If you can handle being suspended 30 feet in air on a makeshift zip line above a 75 feet deep lagoon with blinding dark blue waters, then this is certainly for you. Off the trodden path, sitting tranquilly in Río San Juan, Cabrera, Laguna Dudu is hands down one of the most underrated wonders of the alluring north coast in the Dominican Republic. While there is no guarantee that you will read about the attraction in guidebooks, there is no question regarding if a visit is worthwhile. One hundred and Fifty Pesos (RD 150) grants you access to the park which is also home to volleyball sand pits, a restaurant, hammocks if you simply want to relax, and caves/caverns for exploration. As for the more adventurous, in your books and by your standards this lagoon is heaven. Before entering the park, guests are given a release form which outlines clearly that one is responsible for his/her own injuries or death. Though this pretty much reminds you that you’re on your own, and all activities are undertaken at your own risk, there are a few guides in charge of distributing the mandatory life jackets required for swimming and jumping. These are the same guides who will maneuver the zip line from which you’ll plunge into the lagoon. 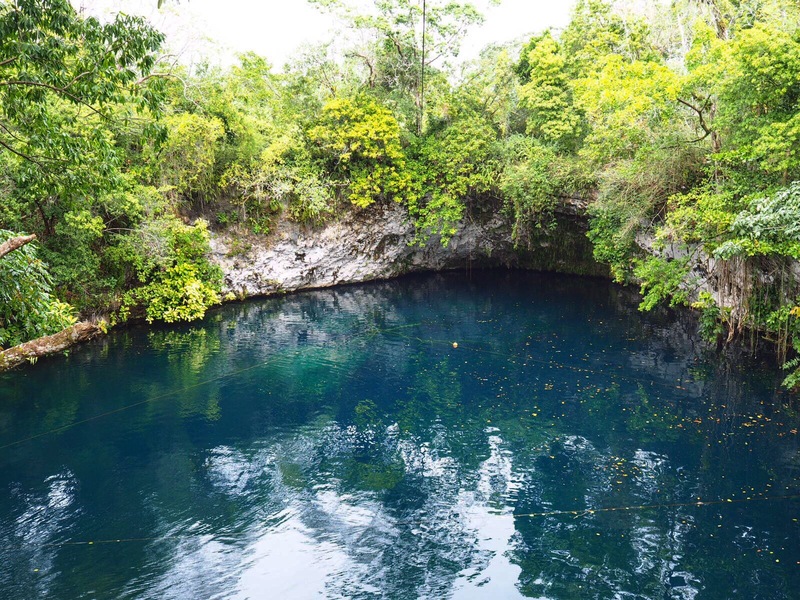 The less adventurous, and the cowardly curious daredevils like myself have the option of entering the lagoon through either a 10 meter cliff jump or a more modest descent down the steep and slippery steps to a less frightening height. The buoy-marked triangle which indicates the safe jump area. If I may, I’ll add a bit of perspective from my own experience. First of all you want to land feet first, unlike me who had my back touch the surface first (that can be hurtful so please take note). In order to achieve this, you simply have to cross your hands across your chest upon letting go of the zip line. You may also keep your hands tight at your side to retain a vertical position upon letting go. The primary reason is for your own safety; landing feet first, you won’t go as deep and you won’t risk damage to your neck/back if you do hit the bottom. As well, you want to limit the total depth achieved; if you go too deep there are concerns surrounding not resurfacing before you need to breathe. Though life vests are mandatory for entering the lagoon, I personally would not recommend the zip line for non-swimmers. 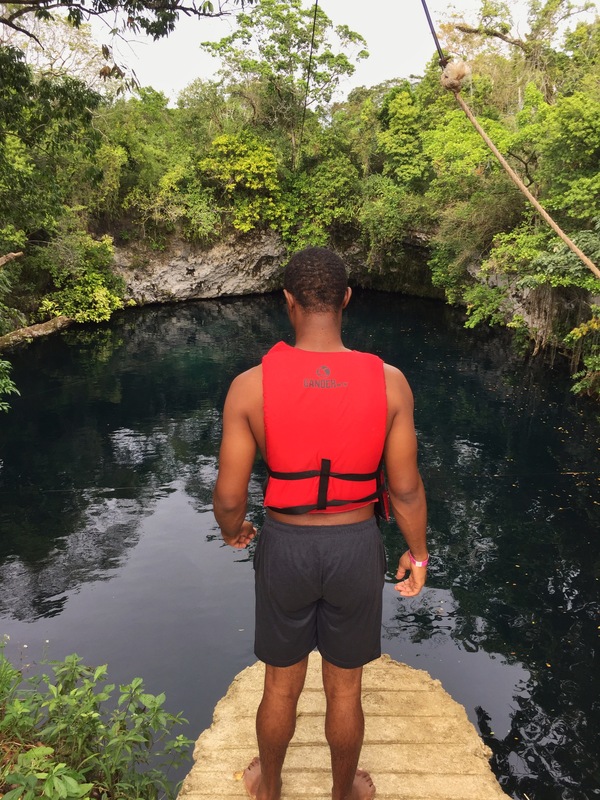 Laguna Dudu is one of the many hidden gems in the Dominican Republic and is a popular recommendation from adventurous locals who flock it on the weekend. Another noteworthy feature is it’s very likely to be virtually empty when you visit on a week day, so you need not worry about lines and how many turns you can take, the lagoon is all yours. See more about my experience at Laguna Dudu here. ← The Curse of the Domincan Republic: What Went Wrong (Part 2).